We are ready for game time tonight. I've been cooking up this chili for 24 hours in the slow cooker. 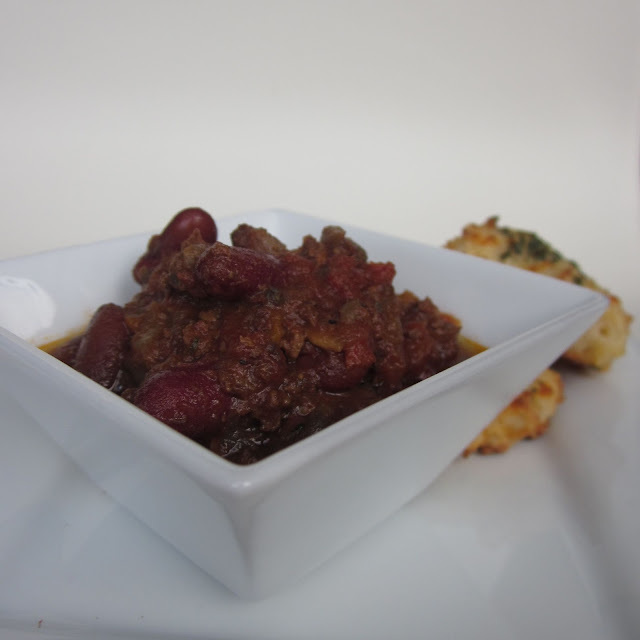 I saved some smoked chili peppers from last fall's Hampstead Farms CSA, which was perfect for this recipe. And the ground beef is from my Randle Farms meat share. Now, we just have to wait for our guests to show up, so we can chow down. 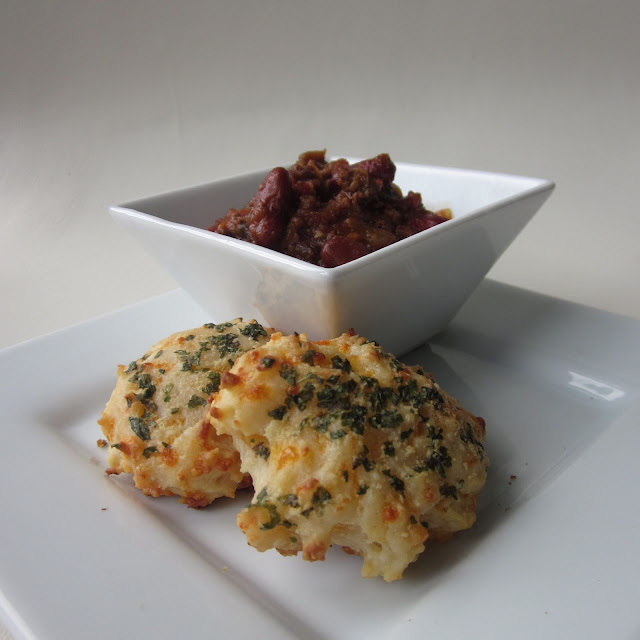 We're serving the chili with some cheese biscuits, (recipe here). heat the oil in a large dutch oven over medium heat. add the onion, bell pepper, garlic, mushrooms, chili powder, smoked chili, cumin, tarragon and cook, stirring occasionally, until the vegetables are softened and beginning to brown, about 10-15 minutes. increase the heat to medium-high and add the beef. cook, breaking up the pieces with a wooden spoon, until no longer pink and just beginning to brown, 3 to 4 minutes. throw everything into the slow cooker set to low for 12-24 hours. add the beans, tomatoes with juice, salt and pepper to taste. cover and allow to cook, stirring occasionally.